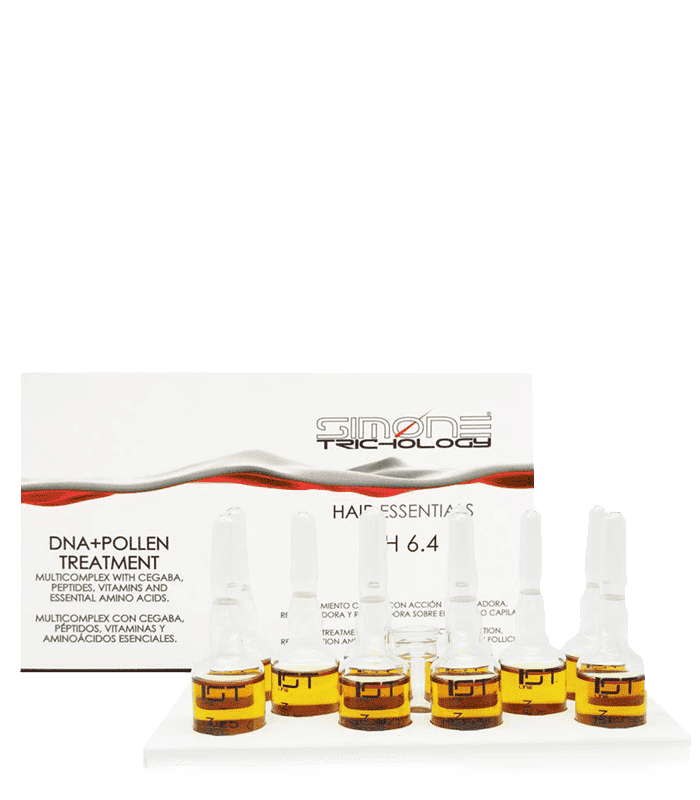 DNA+POLLEN TREATMENT PHIALS is a hair revitalizer and hair loss treatment with a powered effects over regeneration and renovation of hair follicle. Apply SIMONE TRICHOLOGY DNA+POLLEN TREATMENT PHIALS twice a day (half phial) on the scalp and hair clean, massage in a circle using fingers, then extend into the tips of the hair. the treatment can be used on either wet or dry hair.